The questions about gender with which Christendom—and society at large—must reckon are vital. What does it mean to be a man? What does it mean to be a woman? Which social roles should be embraced because they are dictated by biology or faith, and which ones may be cast off because they are mere cultural conventions? It is these essential questions that this book seeks to answer. 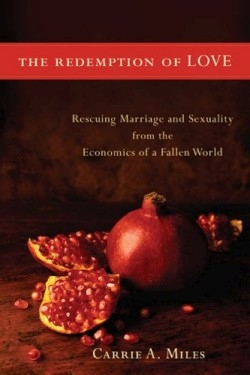 The author, who is a psychologist and associate director of the Association for the Study of Religion, Economics, and Culture, as well as associate director of the Consortium for the Economic Study of Religion, brings knowledge of both economics and Christianity to bear on the topic of gender roles. From the outset, Miles invites controversy—and honest analysis of the issue at hand—by dispensing with the popular notion that increasingly lax sexual mores are destroying the institution of the family. “The sexual revolution, rising rates of divorce, promiscuity and unmarried births are the results, not the cause, of the breakdown of the family,” she boldly asserts. Having become expensive luxuries rather than income-producing assets, children have lost their value to society. As a result, Miles argues, the social structure designed to support them—namely, marriage—has lost its raison d’etre, and sexual expression outside of marriage is no longer taboo. This causes problems, though—if they are to grow up healthy, children need cohesive families. But having lost its economic imperative in a postindustrial world, how can marriage provide that cohesion? Miles’s social and economic analysis of the family throughout history is masterful, but it is here, in offering the solution to these problems, that her book is most important. Using her own analysis of the Song of Songs from the Old Testament of the Bible, Miles argues that Christians should view love as an opportunity to serve others, rather than exert power over them. This matches Jesus’ teachings and example, but contradicts centuries of teachings on marriage as a hierarchy. While her interpretation of the Song of Songs is fanciful, and a few of her assertions could benefit from additional supporting evidence, Miles’s overarching argument is compelling. This significant book brings the reader closer to logical, satisfying answers to the vital questions about gender—and humanity.